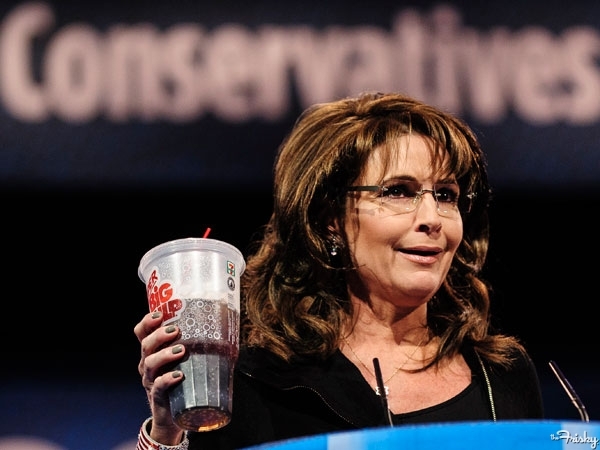 Can’t be so terrible if Sarah Palin drinks them, amiright? Craving a giant sugary beverage? You’re in luck. On Monday, March 11, just one day before the infamous New York City “Soda Ban” was scheduled to take effect, the legislation was struck down by Manhattan Supreme Court Justice Milton Tingling. In a thirty-seven page ruling Tingling criticized the ban as being “arbitrary and capricious,” eventually declaring it invalid. The ban, intended to help reduce obesity, was proposed by New York City Mayor Bloomberg last summer. It outlawed the sale of all beverages larger than sixteen ounces that contained more than twenty-five calories per eight ounces. However, it did not apply to drinks that contained more than fifty percent milk such as lattes and milkshakes, nor did it apply to alcoholic beverages or drinks that were over seventy percent juice. Also, it did not prevent people from getting refills. The soda ban made headlines around the country. Liberals and conservatives alike spoke out for and against it. For many, the ban took government regulation to a new and disturbing level by placing limitations on citizen’s basic freedoms. Others praised Bloomberg for taking action and fighting the growing obesity epidemic in America. Some cities such as Cambridge, Massachusetts even proposed similar legislation inspired by the ban in New York. However, overall the ban seemed to evoke a generally negative reaction, particularly from soda companies and places that served large beverages. In response to the ban, the beverage industry took New York City Department of Health and Mental Hygiene to court, angry over how this controversial law might affect business. The judge sided with the beverage industry pointing out major flaws in the ban which made it unfair and inconsistent. One significant problem was that it would only apply to establishments under the NYC Board of Health’s jurisdiction. It would not have affected grocery stores, vending machines, and convenient stores. Of course this meant the world renown 7-Eleven Big Gulp that had become the poster image for the entire movement, had been safe all along. This also meant that people would have still been able to acquire their super-sized beverages, just not at places like restaurants, movie theaters, and food stands. Judge Tingly saw this inconsistent enforcement as a major shortcoming of the ban. He also criticized the way in which it came about, arguing that the matter should have been decided by a vote from city council. These two faults were leading reasons for the decision on the ban and the resurrection of giant sugary beverages. While many people are celebrating this decision as a triumph over big government telling citizens how to run their lives, it is not quite so impressive. The ruling was less focused upon the content of the ban itself and more so upon the way in which Bloomberg went about getting it accomplished. Tingling felt the mayor and health department had overstepped their boundaries as well as pushed a law they could not be accurately enforce. Bloomberg plans to appeal the ruling and the case is scheduled to be heard in June. Until then New York residents can relax and enjoy a nice, refreshing 20-ounce Mountain Dew in all of its sugary glory.